The central government’s top policy think tank, Niti Aayog, has tapped IIT-Delhi's artificial-intelligence tool that reveals and predicts socio-economic conditions of areas right down to the district level using satellite images, said a report. The project is expected to help policymakers take better decisions across health care, education, agriculture, sanitation, employment and others. In The Economic Times report, a government official said most of the decisions are based on census data a decade old, leading to errors. Also, an unnamed professor in the report from IIT-Delhi said the institute was in talks with the think tank to further develop the partnership for research and applications. But he added that IIT-Delhi had no formal collaboration with Niti yet. The professor added that the tool developed by IIT-Delhi can flag areas of risk, look at sectors in need of attention and investment and cut down wastage of resources. Currently, the institute, which is trying to replicate a Stanford University model that used satellite images to estimate household consumption, is studying images of at least 200,000 villages in Punjab, Haryana, Uttar Pradesh, Bihar, Jharkhand and West Bengal to train the artificial-intelligence engine to reveal and predict socio-economic conditions. Niti Aayog's IIT partnership is part of a series of measures the think tank is taking to explore the use of new technologies on the policy front. 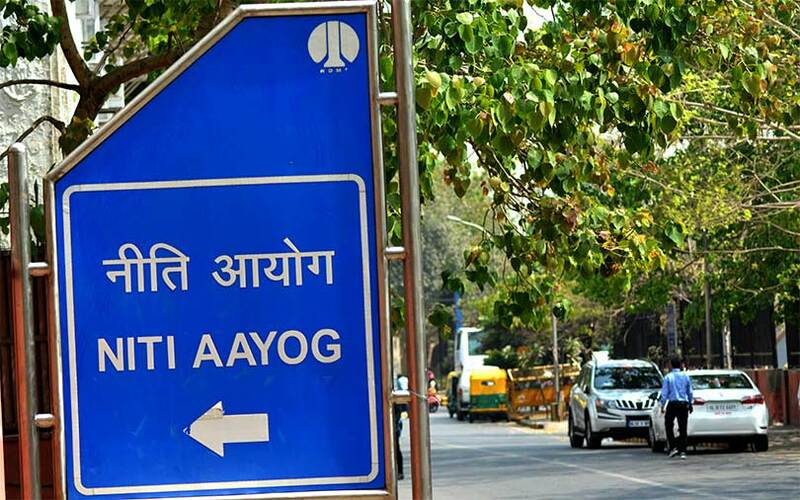 On Saturday, The Economic Times reported that the Niti Aayog is planning to build an advanced technology platform to help the government better understand citizens’ data, spending patterns of the government, consumption trends and the success of various government policies. On Friday, Press Trust of India reported Niti Aayog chief executive Amitabh Kant as saying that Indian firms can use state-of-the-art technologies and emerging tech such as artificial intelligence to reimagine production and bump up the economy. In January, Niti Aayog had said it was testing the waters to deploy blockchain in education, health and agriculture. The think tank is developing a ‘proof of concept’ to take advantage of the new technology in key sectors, a senior government official had said.